At Celestial Memorial Company, we are a family owned and operated company that works with families to create customized memorials for their loved ones. 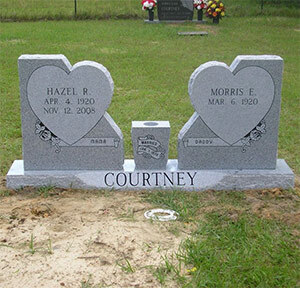 From granite headstones to marble grave markers, we use only the finest materials to create tasteful and quality memorials that honor those who have passed. Since 2008, Celestial Memorial Company has been proud to serve as your trusted provider of personalized memorials. We believe that “our best is written in stone,” and so we work closely with families who have lost someone they love to create an individualized memorial that captures that person’s personality and spirit. We recognize that the grief process is a difficult one and that it can be overwhelming to look through headstones in Lucedale, MS. By taking the time with each family, we do our best to ensure that you will be met with compassion and understanding. We encourage our clients to talk to us about their loved one so that we can help find a grave marker and message that honors their sensibility. We offer beautiful customized memorials. We have a wide selection of products, from headstones to markers to urns. We work with families to personalize each memorial. Our philosophy is compassion first and we work to meet the needs of grieving families. We are thrilled that you took the time to stop by our little website. Browse around. 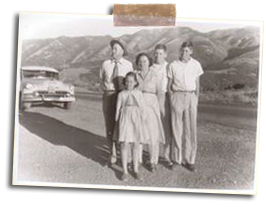 Learn more about our heritage and why we are so confident that we are the right company for your memorial stone needs. We are just local folks based in Lucedale, Mississippi waiting to serve you. Feel free to stop by our place anytime, and we’ll show you how much we care.